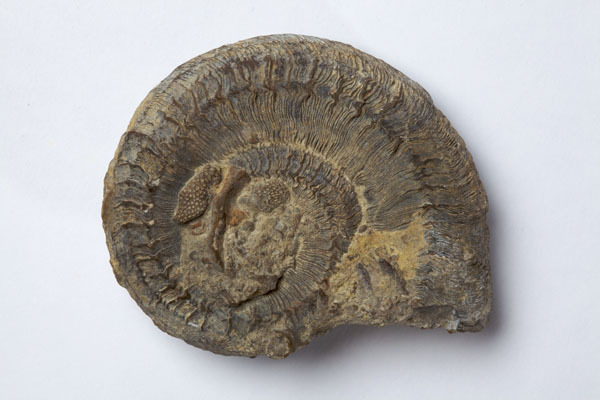 Summary: Gastropod fossil known as Poleumita discors. 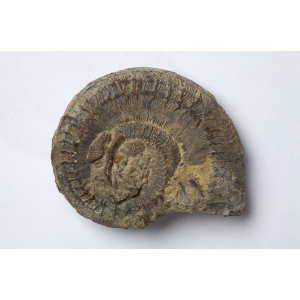 Description: Single fossil gastropod called Poleumita discors. Forms a flat spiral gastropod free from matrix. in part encrusted with colonial bryozoans.